The Iams SO GOOD! Doggie Jam is taking place on Saturday, June 8th in Torontos' Echo Beach. 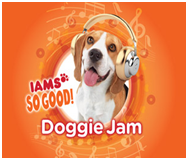 Check out the video below that Iams created for you to get an idea of what the Doggie Jam is all about. The best part is a lucky reader could be taking their own beloved canine to the show! Here is what Iams has to say to you readers. This one is easy to enter. But make sure you are Canadian, and preferably local as transportation is not included. To enter to win, all you have to do is simply check out the Iams SO GOOD! video (above) and leave a blog comment about what you loved most about the video! You can also earn bonus entries every day by sharing the Iams So Good! Doggie Jam video on Facebook, Twitter or Google+! But be sure to leave a url in the comment section below for it to count. You can also try your luck at Journeys of the Zoo, who is hosting the giveaway as well. DISCLOSURE: Freda's Voice is an Iams blogger. 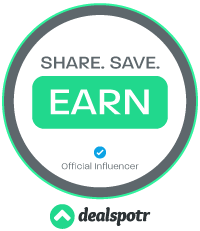 This blog receives product vouchers for posting. I love how they talk about how the dog is part of the family. It really is true! My 2 dogs (girl chihuahua and boy yorkie) would love this! It's great to hear that you are an Iams blogger too Freda.